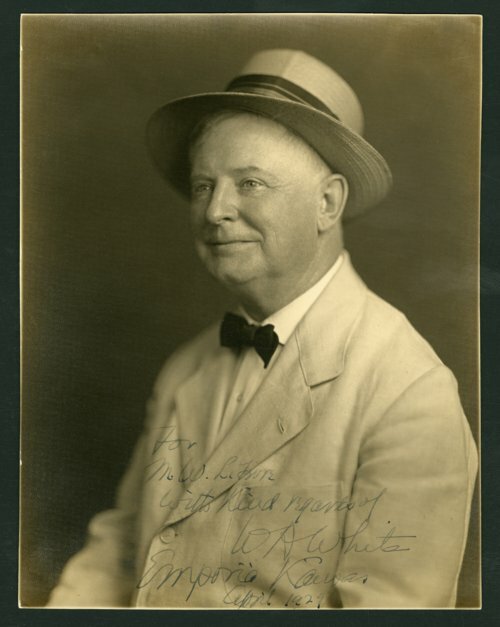 This is an autographed photograph of William Allen White. As publisher and editor of the Emporia Gazette newspaper, White gained national fame with his editorial "What's the Matter with Kansas?" during the Populist era in the 1890s. A supporter of the Progressive movement, he wrote countless editorials as well as articles for national magazines and books. In 1924, he ran for governor of Kansas to highlight his campaign against the Ku Klux Klan.